A woman way ahead of her time, she was sourcing all-natural beef before it was a thing. Growing up on a working farm prepared Pat Mares for a life in barbecue— though she didn’t know it at the time. In 1979, Mares moved from Lincoln, Nebraska to Austin for grad school at the University of Texas Latin American Studies department. 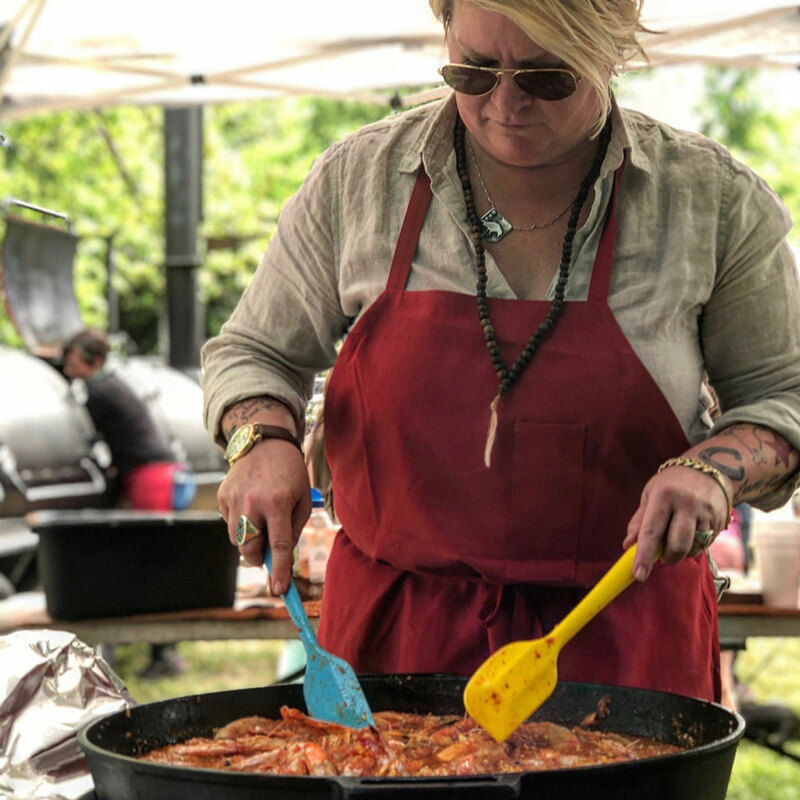 She met her future husband, Luke Zimmerman, through a mutual singer-songwriter friend, and the two fell deep into the local blues scene, where barbecue was becoming increasingly popular. Together, they decided to open a barbecue spot right next door to Antone’s, Austin’s iconic blues venue, and they named it Ruby’s BBQ after a juke joint that appeared in the Marlon Brando movie The Fugitive Kind. Ruby’s quickly became a pillar of the community and a popular stop for both local and visiting musicians, from Townes Van Zandt to Buena Vista Social Club to Spoon. Mares sourced all-natural, steroid-free beef through a neighboring co-op grocery store long before that became a thing, and hired a local mason to build a customized brick pit for cooking over indirect heat. They developed a unique method of slow smoking the brisket overnight and created all the recipes for sides together, enlisting the taste-testing help of the barbacks at Antone’s, which shared an alley with Ruby’s. “All of us had an idea of when something was done or how it should taste,” Mares remembers, smiling behind her signature cat-eye glasses. In those early days, Zimmerman mainly worked daytimes and Mares picked up mostly night shifts, which meant she was doing a lot of grill work, plus setting the overnight pit fires. Mares recalls shifts where her entire staff was female — certainly unheard of in the barbecue world. “People would comment, 'Oh wow— it’s an all women crew today!’” remembers Mares. When Zimmerman was diagnosed with liver cancer in 2007, he left the restaurant to revisit his love of art, filling his home studio with mixed media paintings, until he passed away three years later. Mares ran Ruby’s singlehandedly for 11 years, training countless employees and often putting in over 60 hours a week herself. Just this spring, she decided to retire at 67 and shutter the 30-year-old institution. But the mark Mares left on Austin’s barbecue community is indelible.